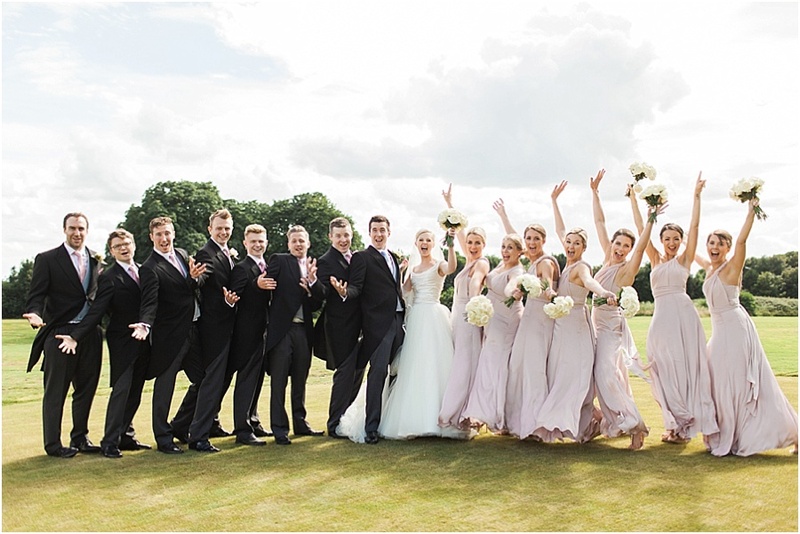 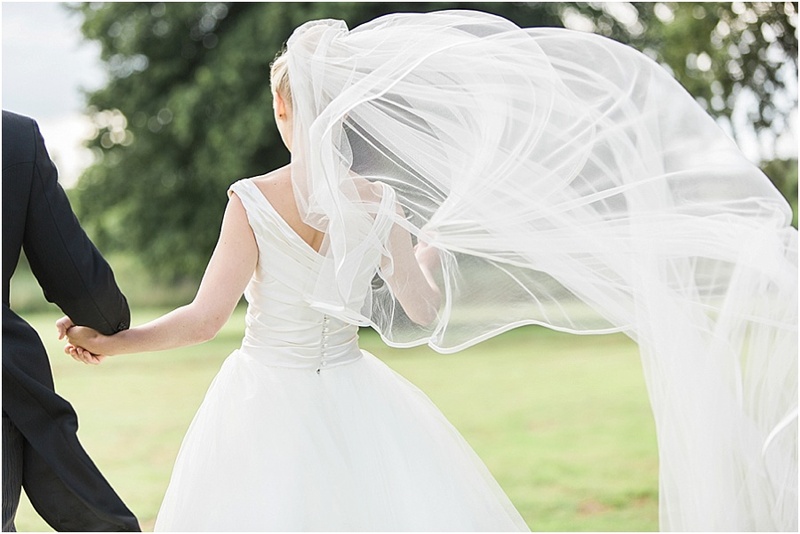 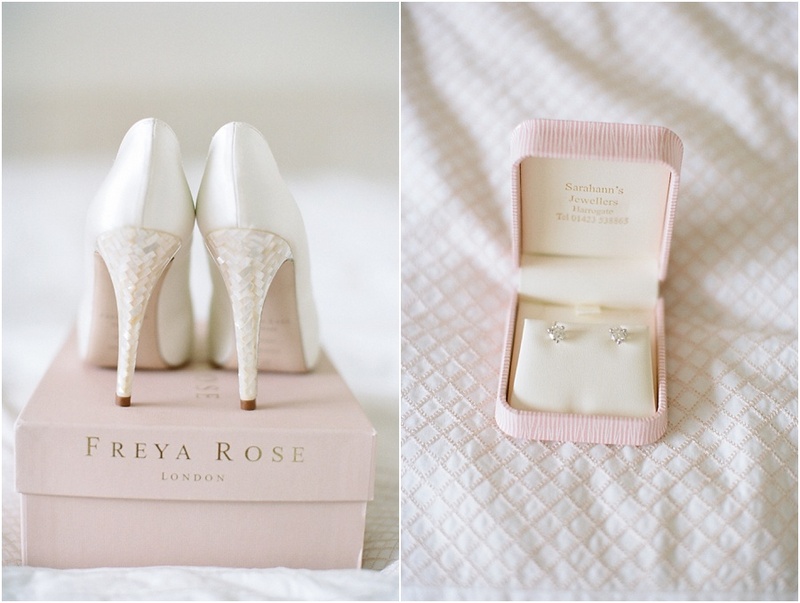 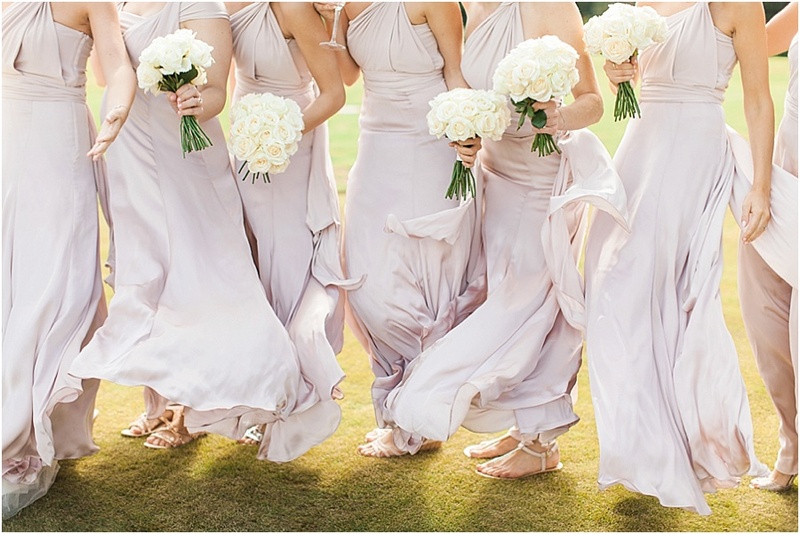 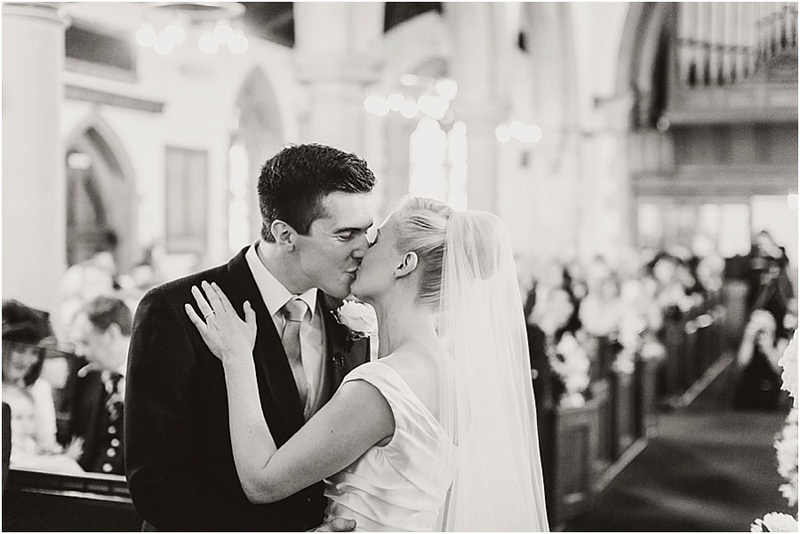 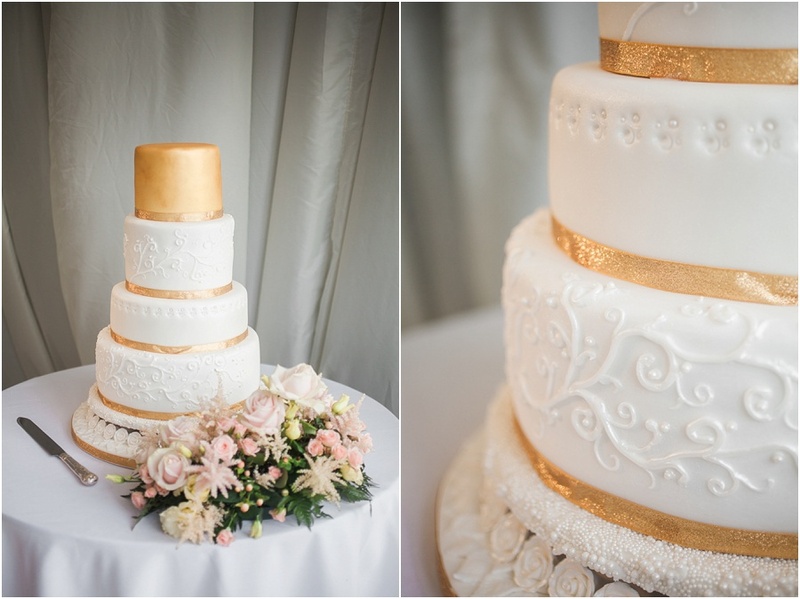 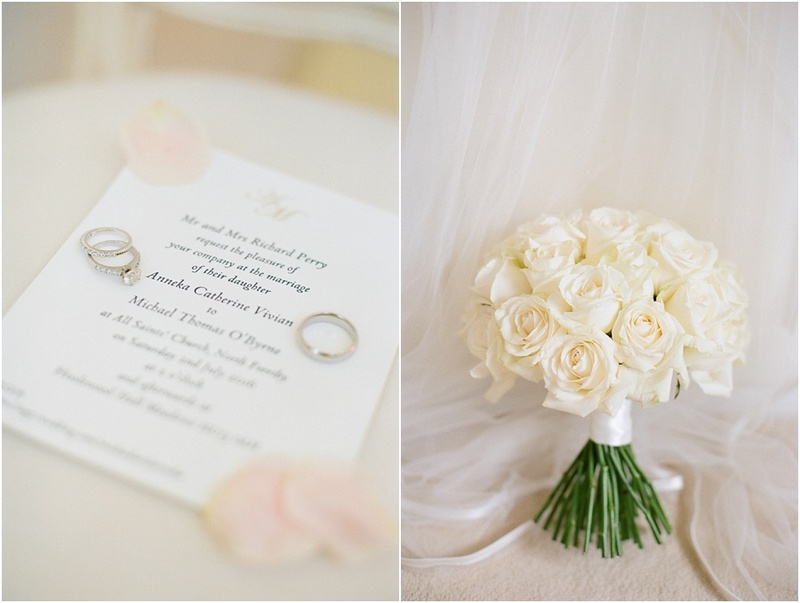 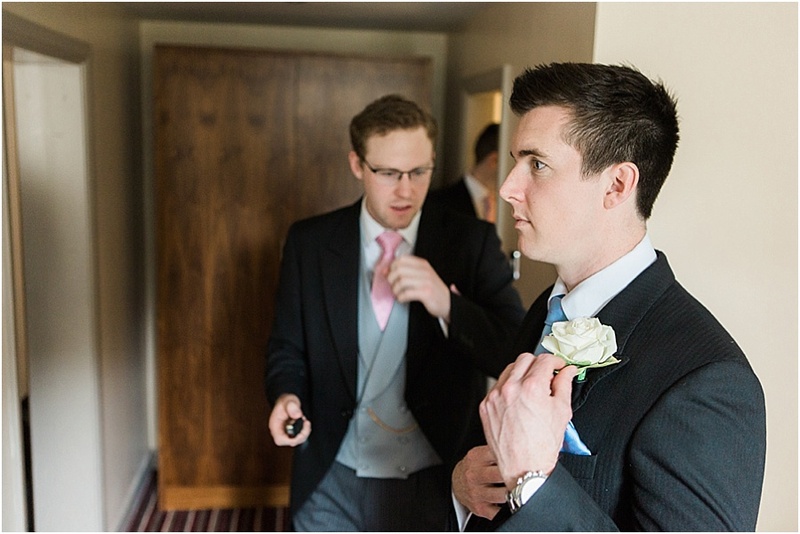 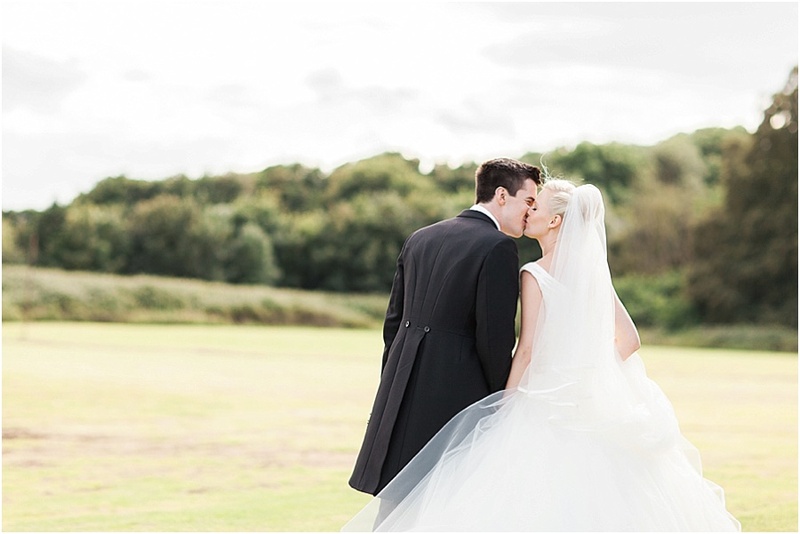 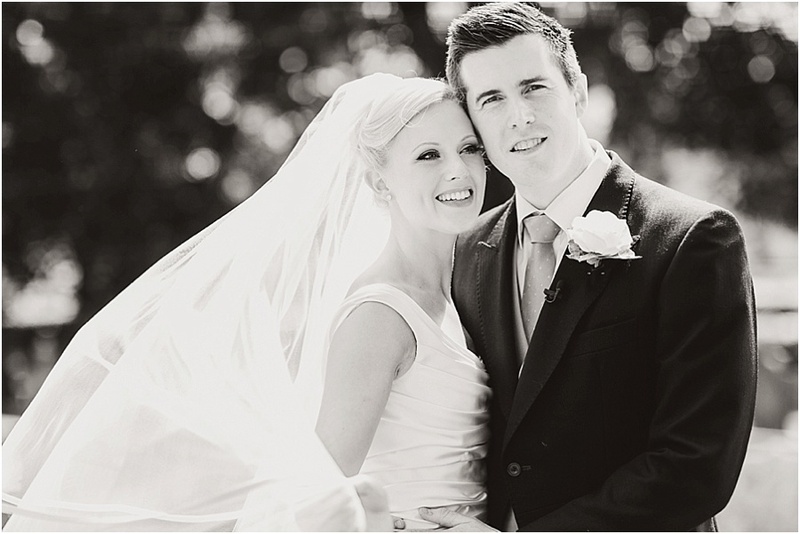 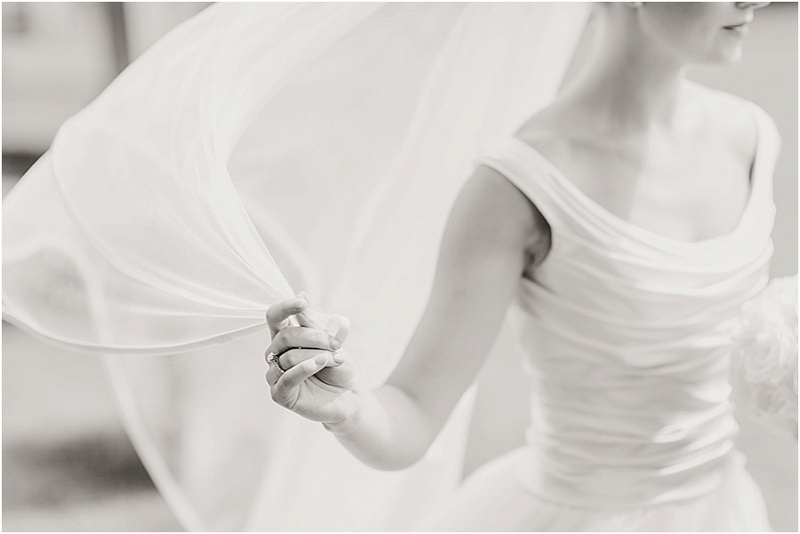 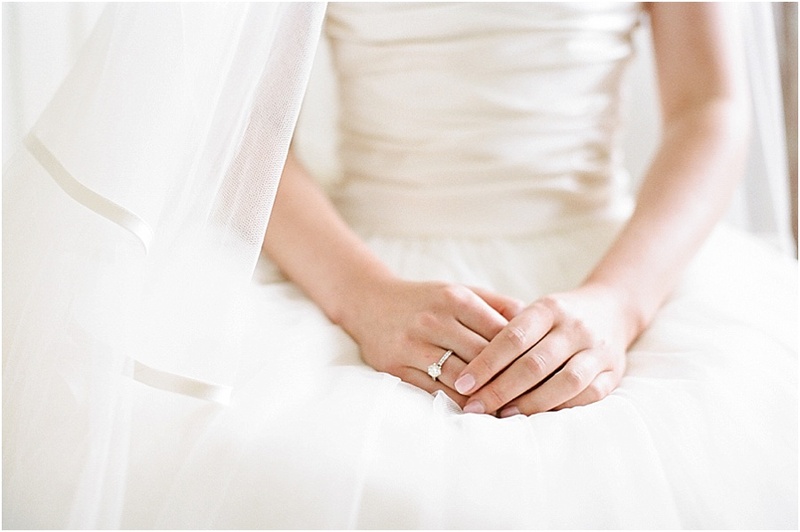 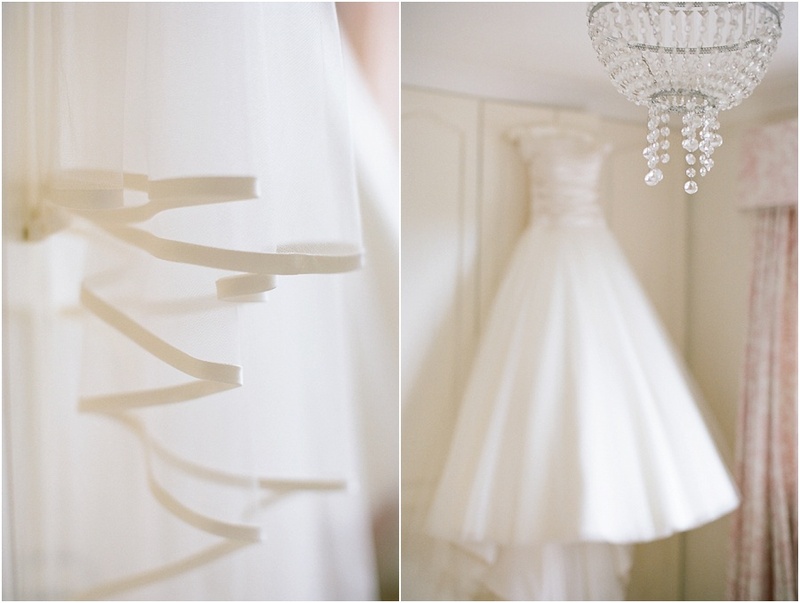 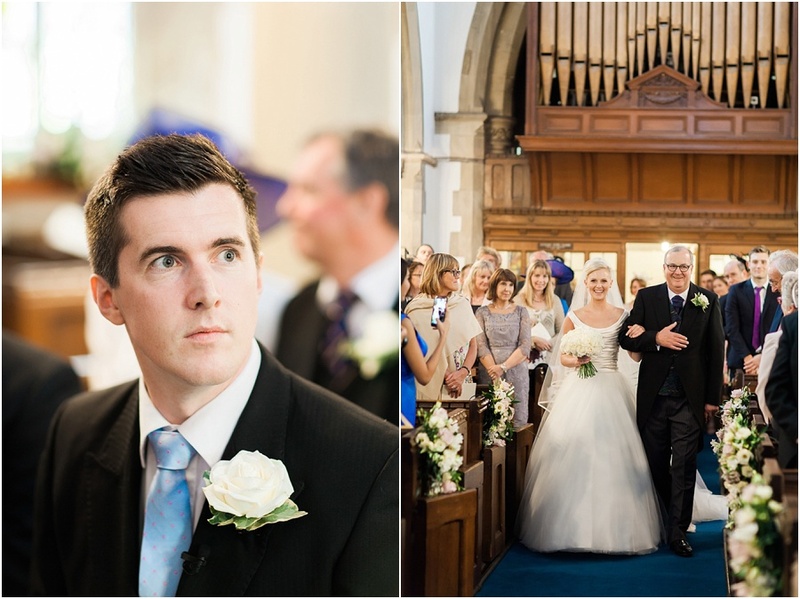 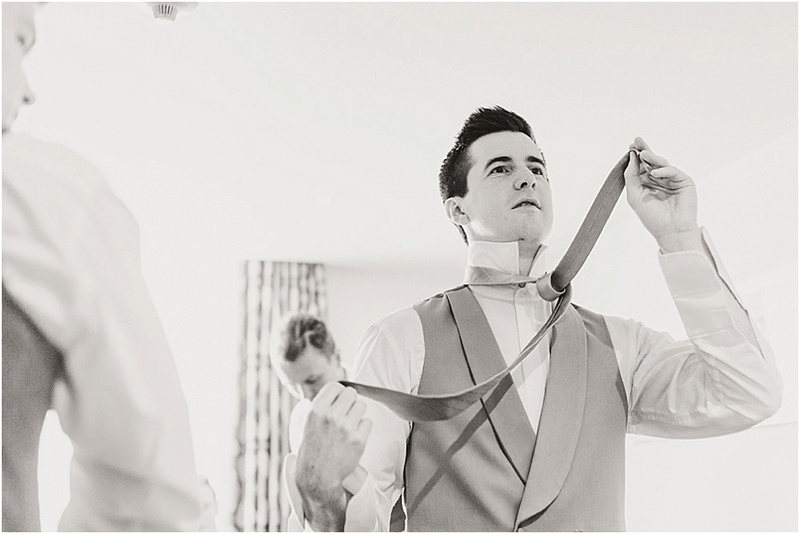 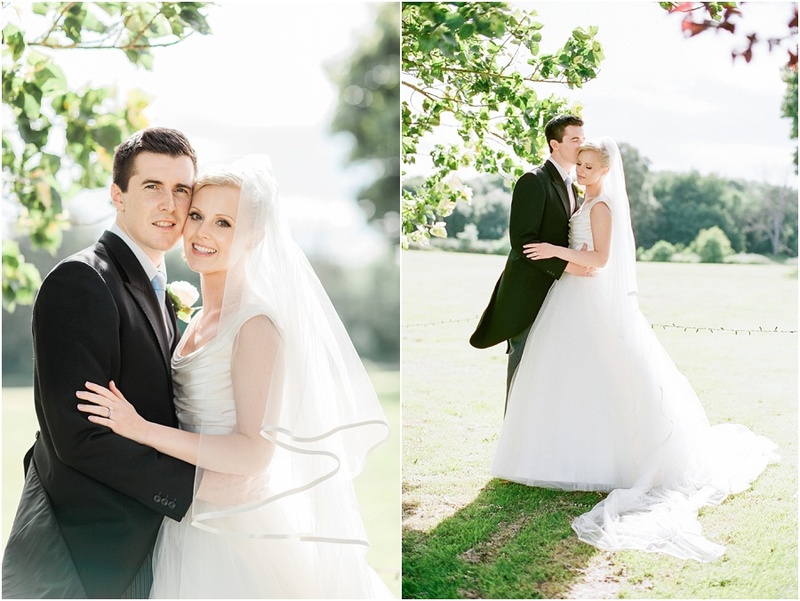 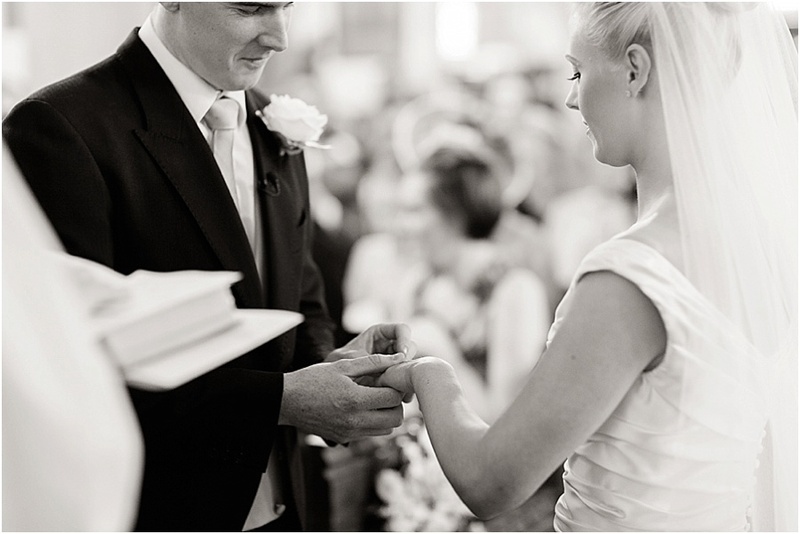 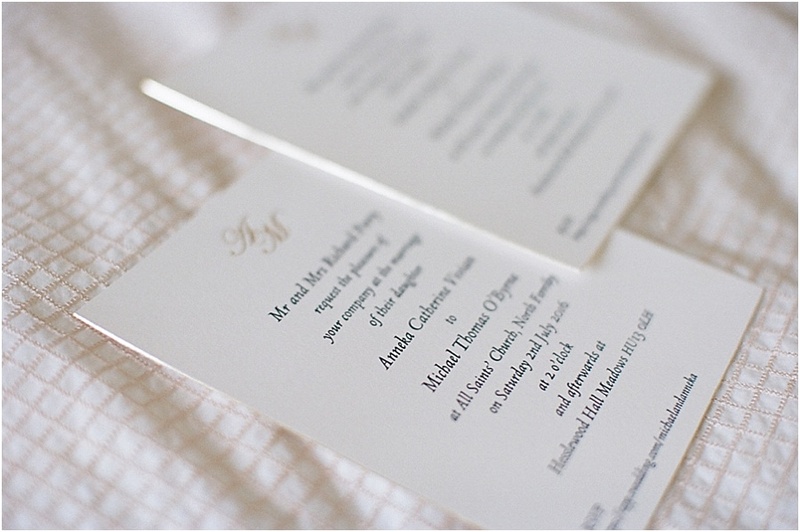 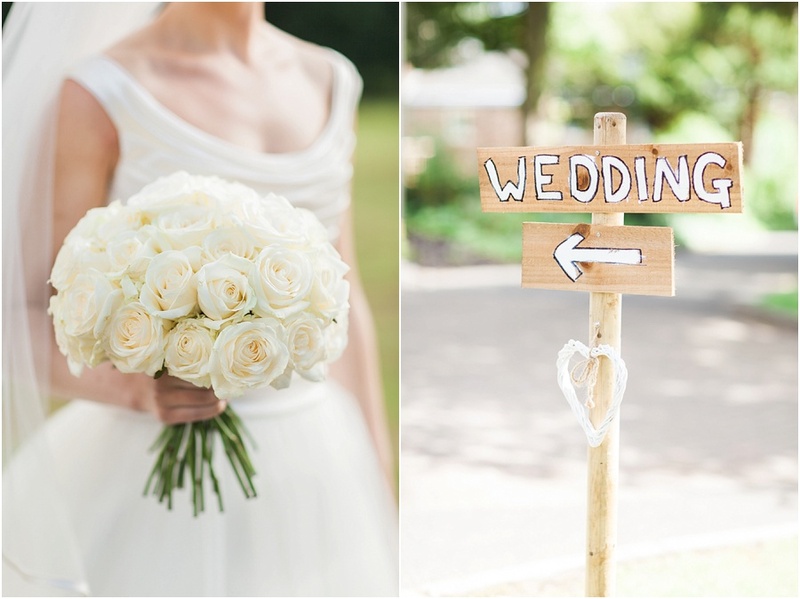 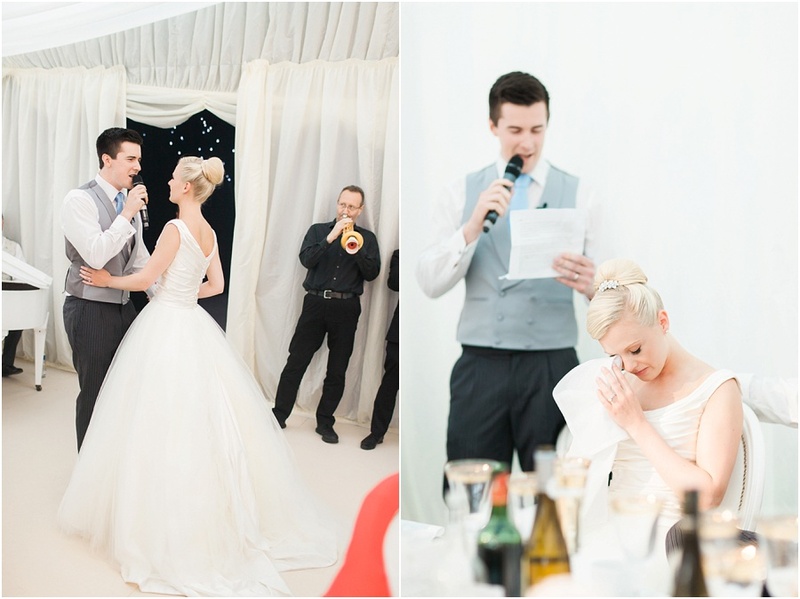 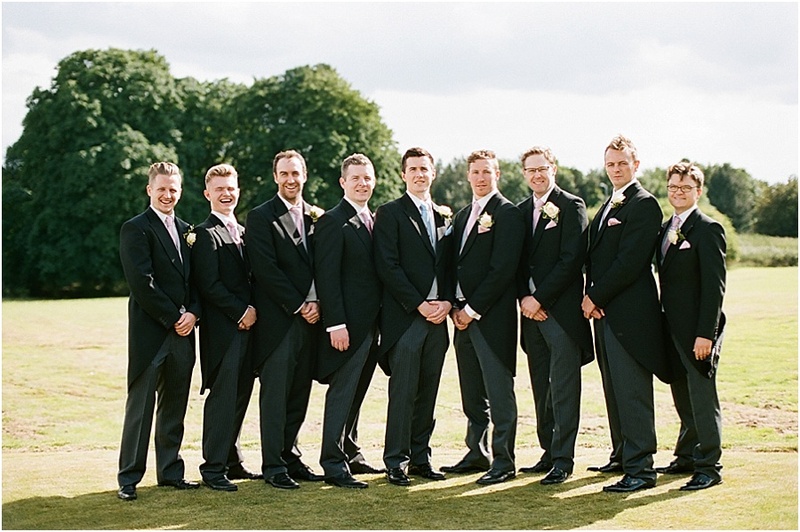 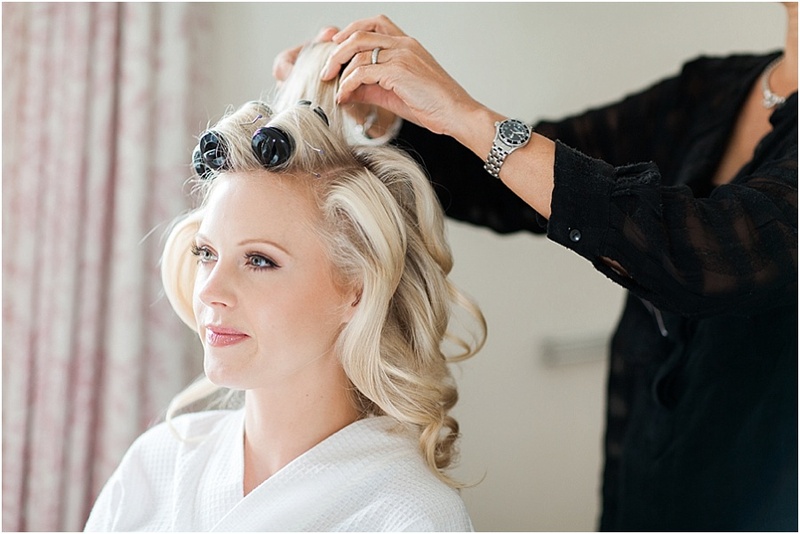 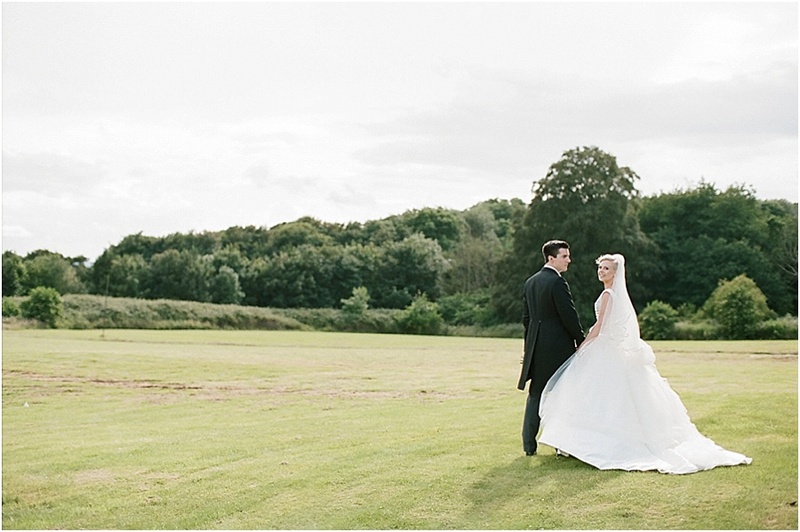 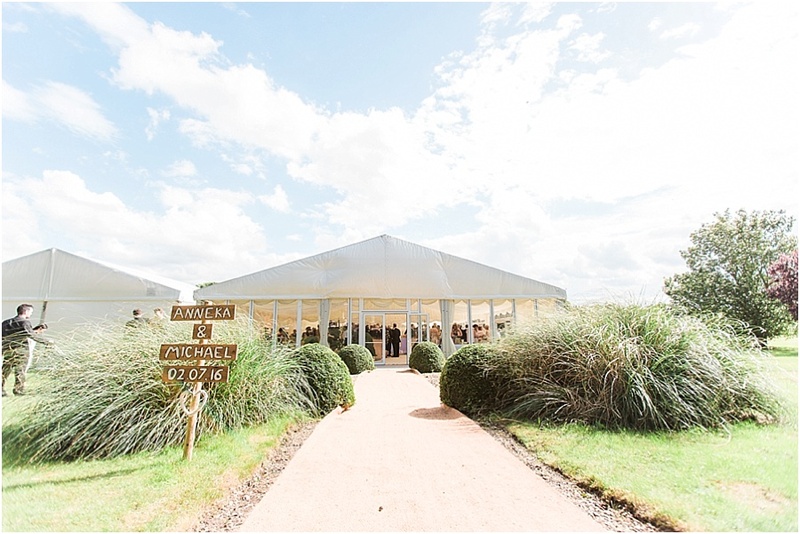 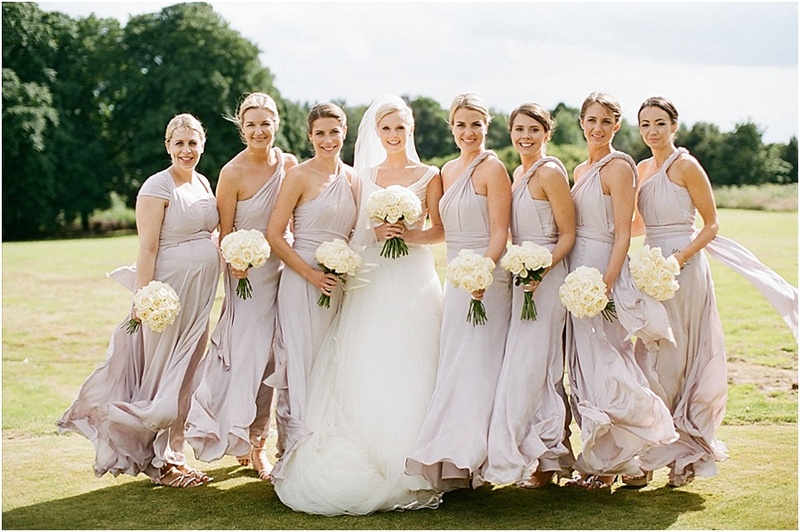 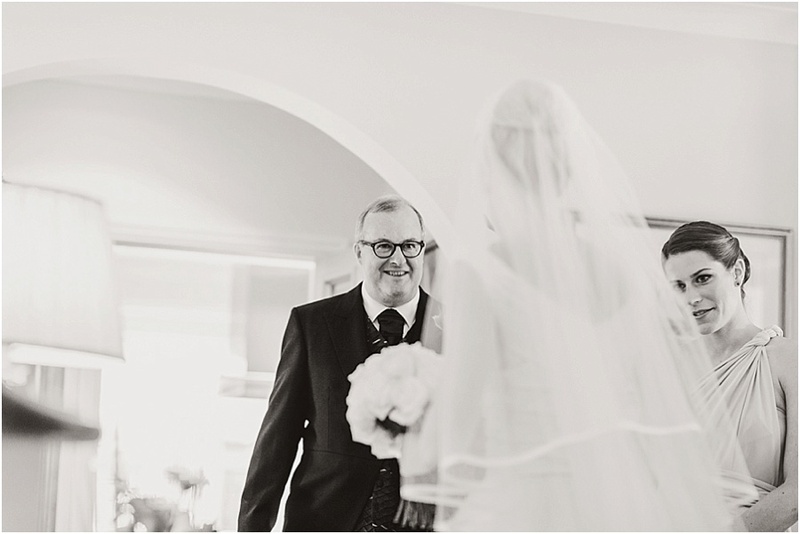 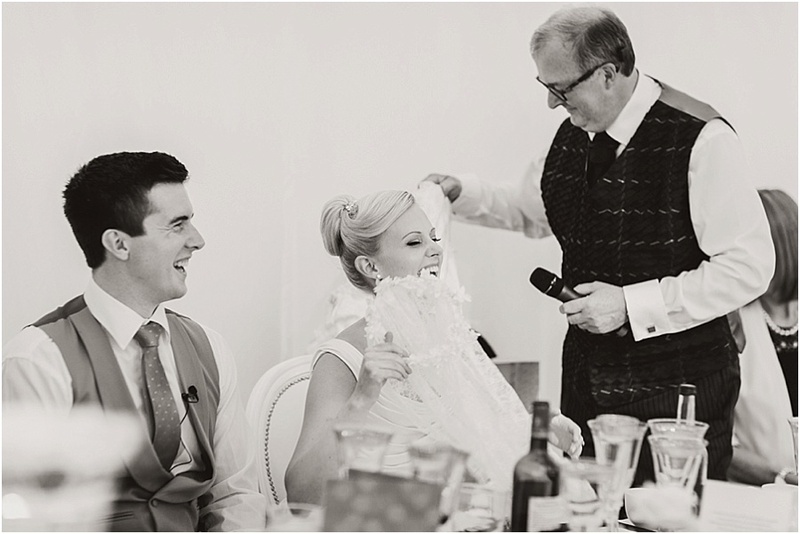 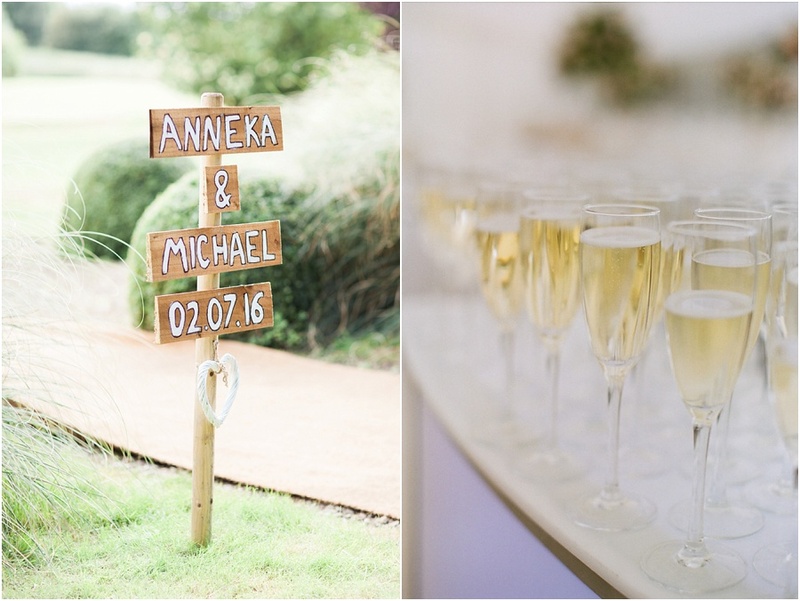 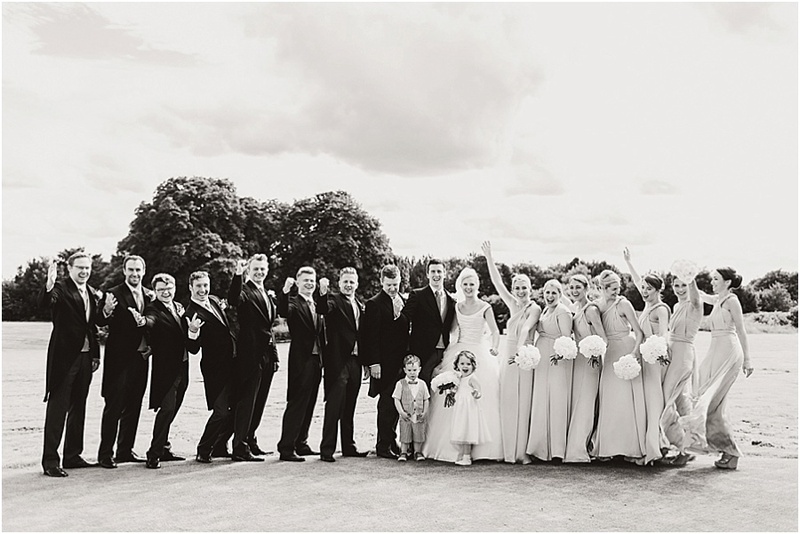 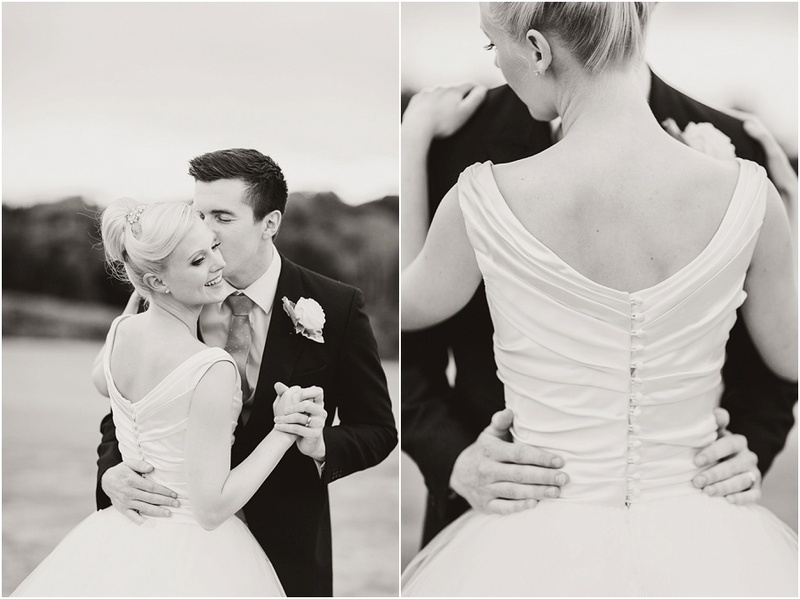 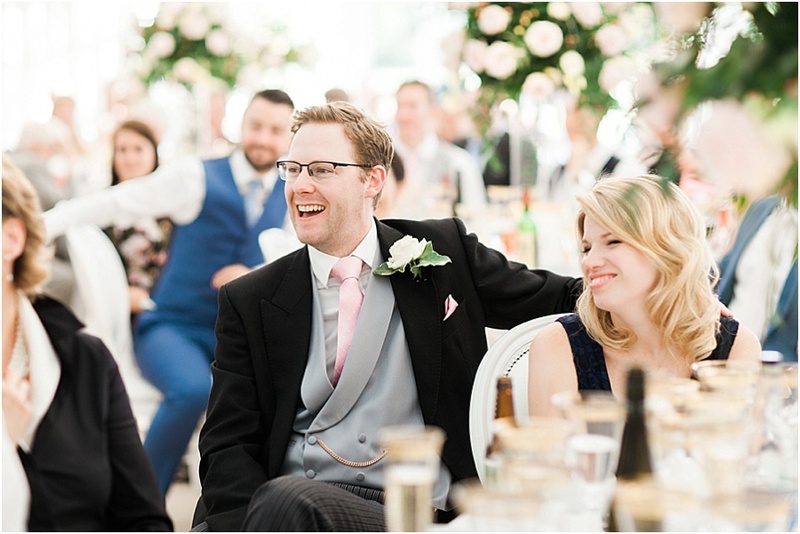 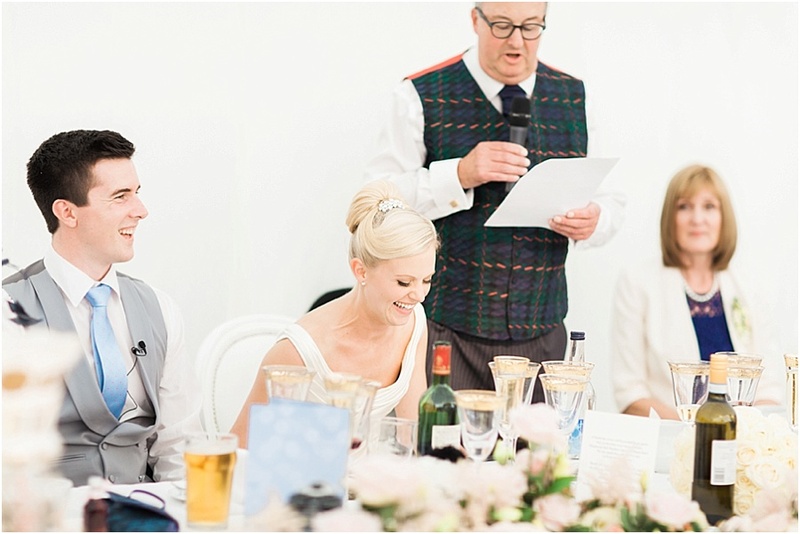 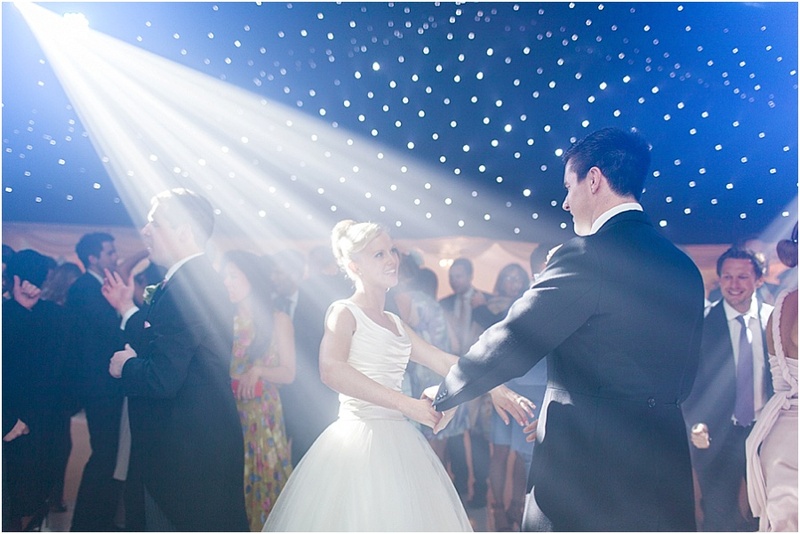 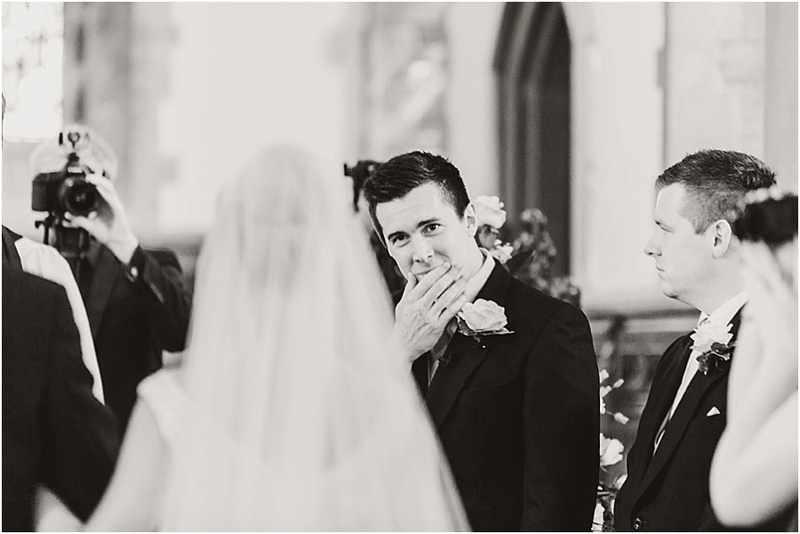 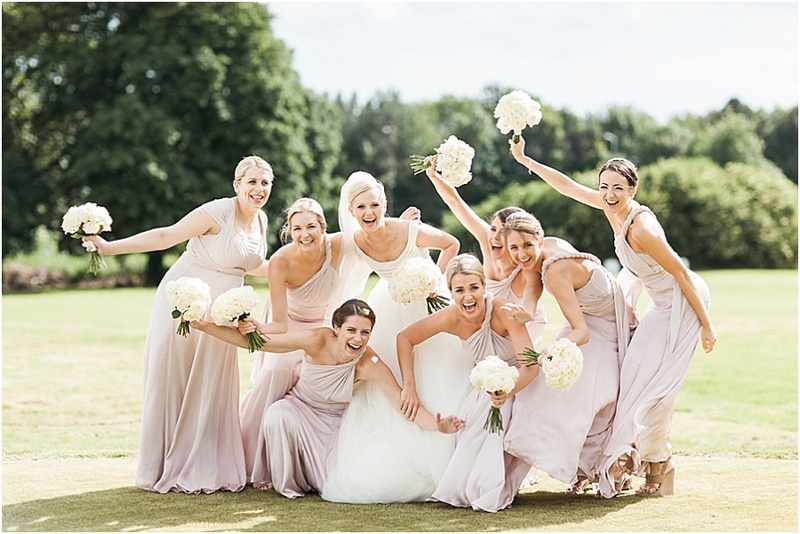 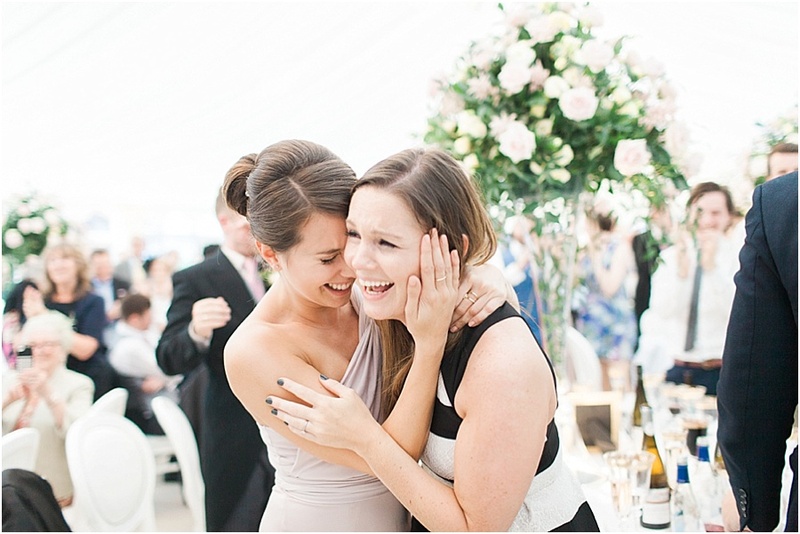 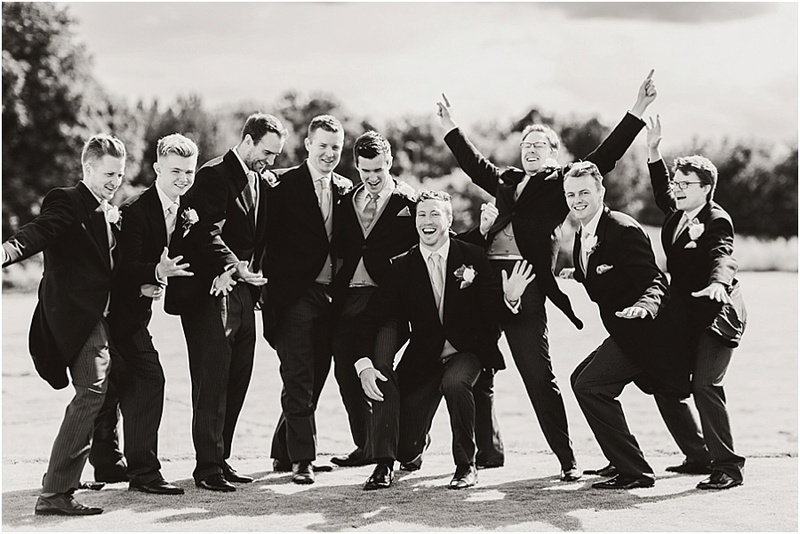 Annie & Mike held their beautiful, elegant wedding in the village where Annie grew up. 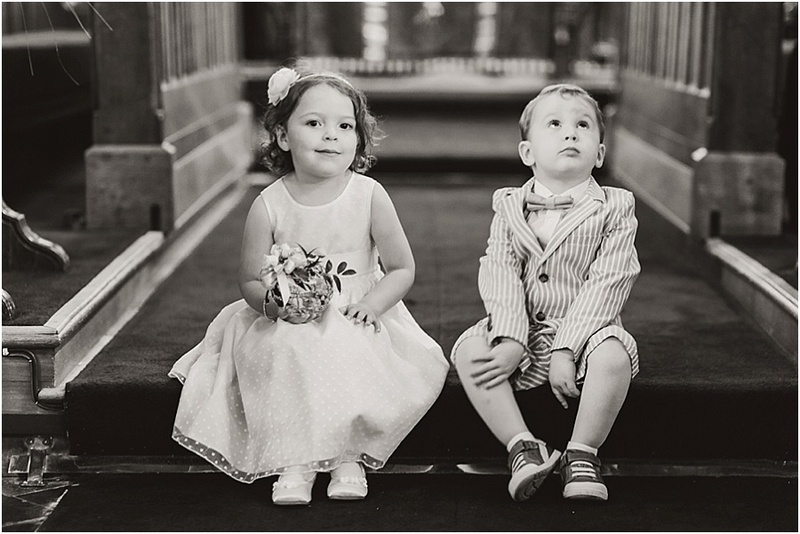 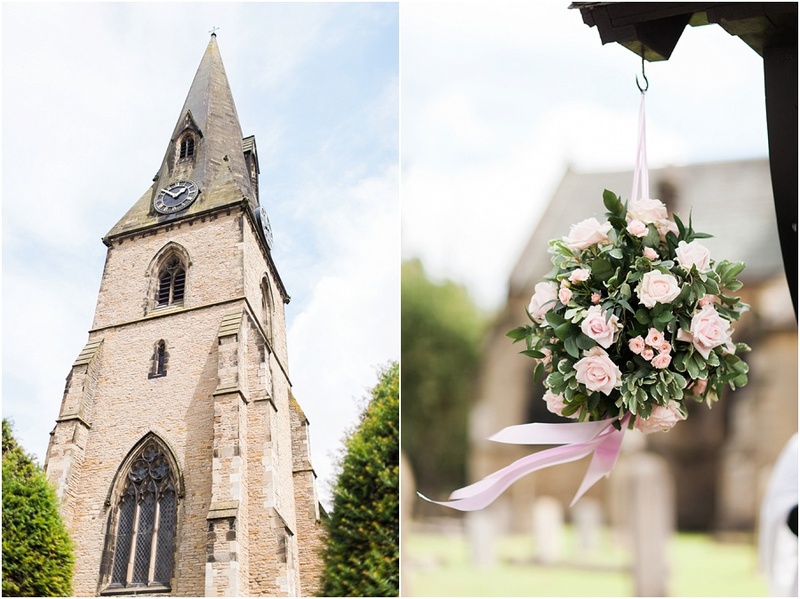 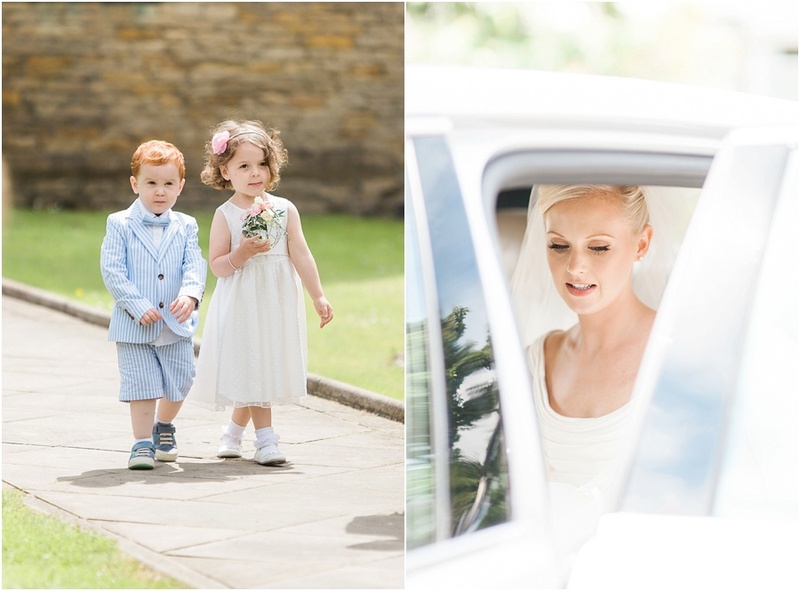 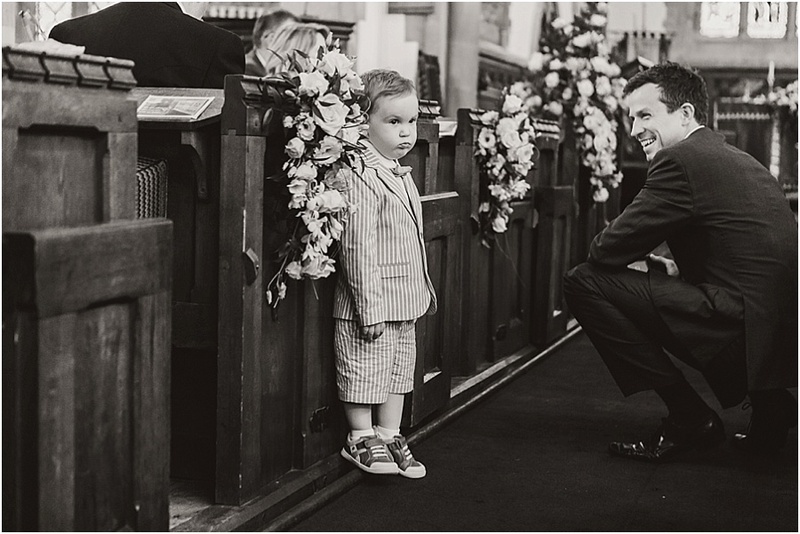 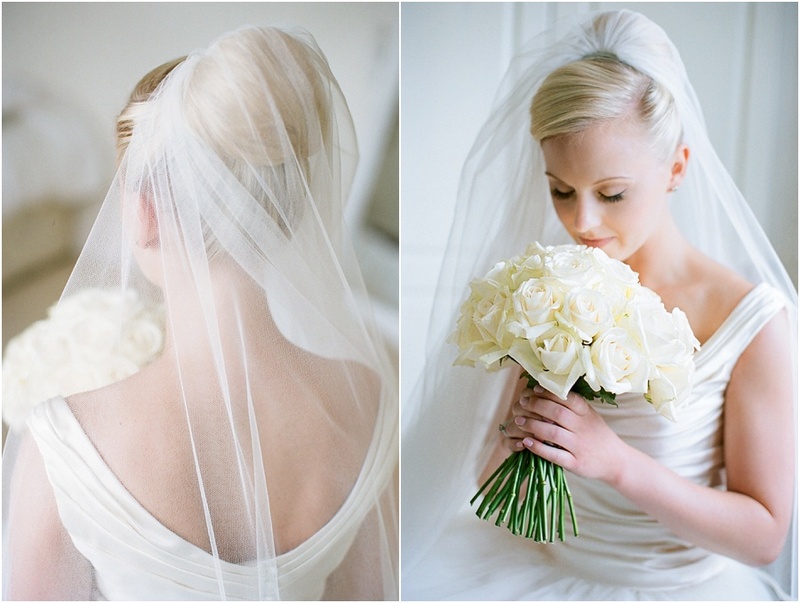 Annie got ready in her childhood home, and the ceremony took place in the pretty village church. 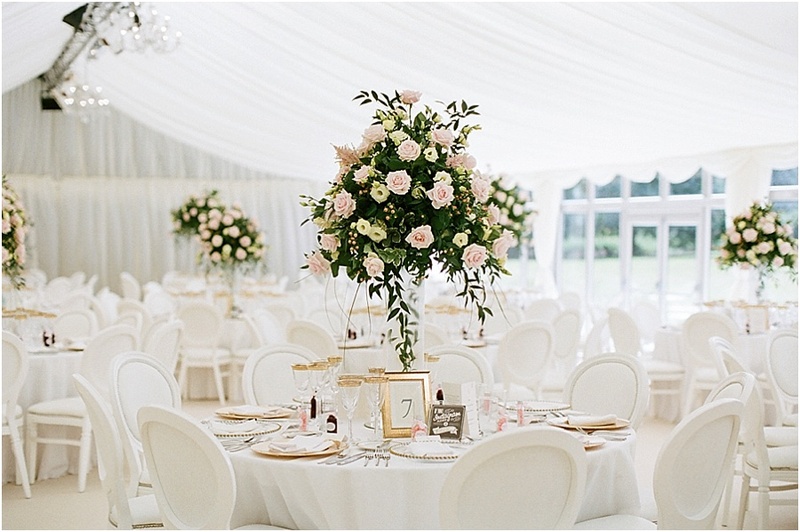 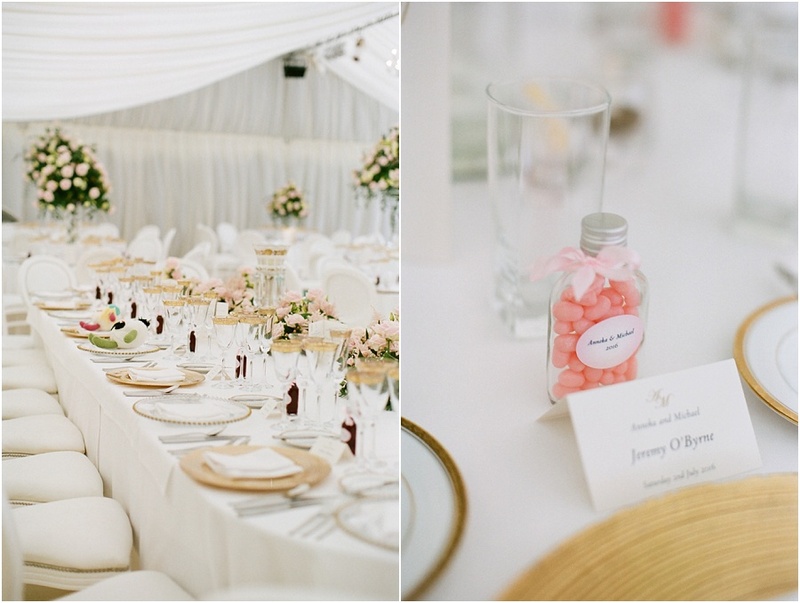 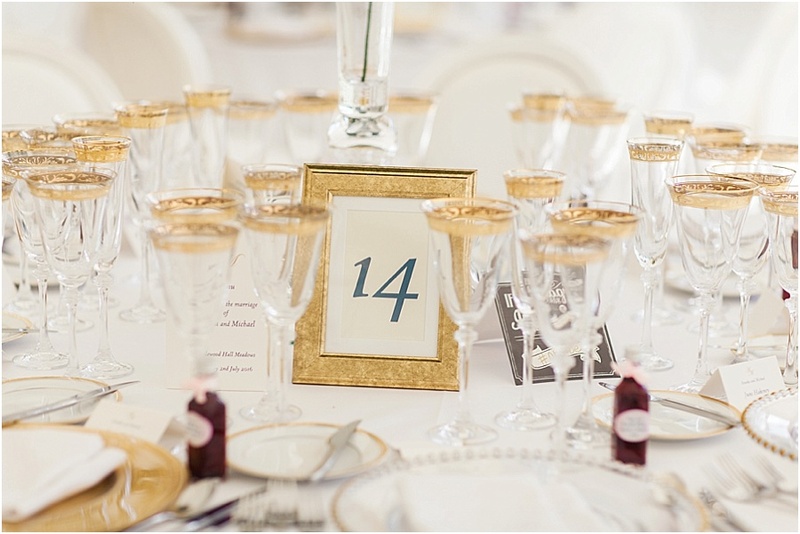 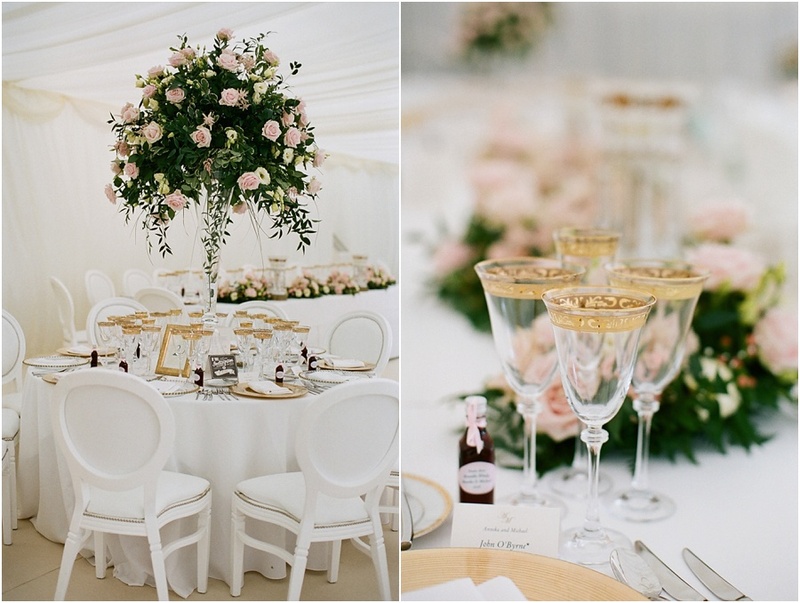 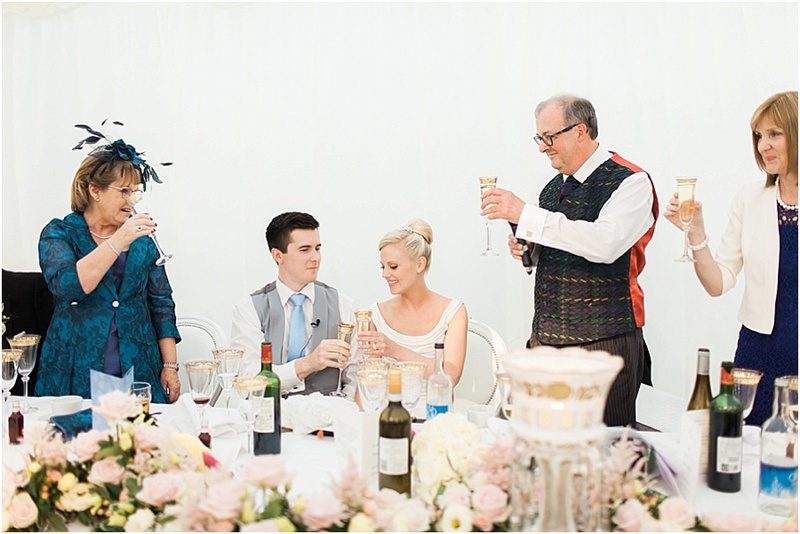 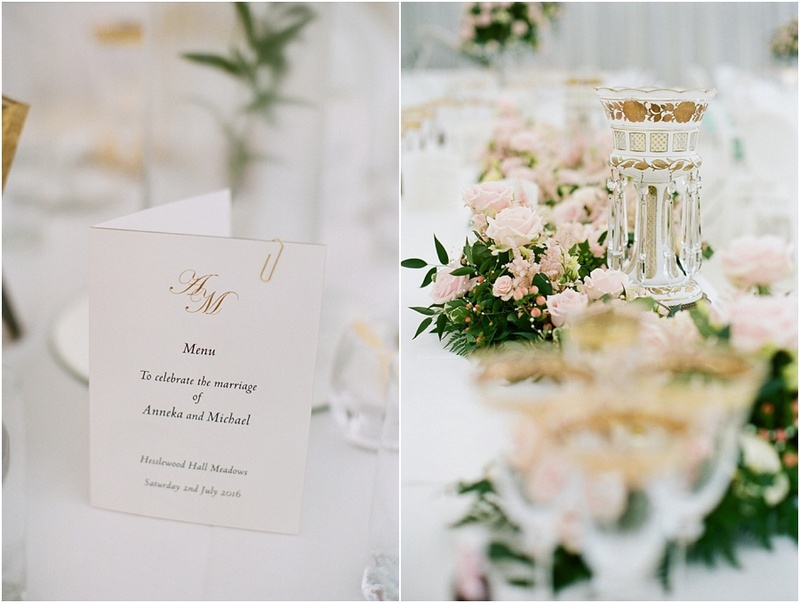 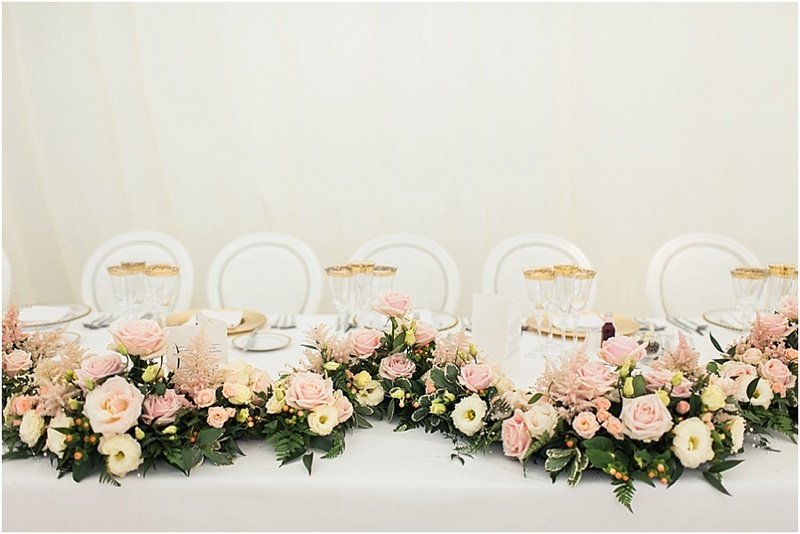 The marquee reception was beautifully styled with magnificent floral centrepieces and gold glassware. 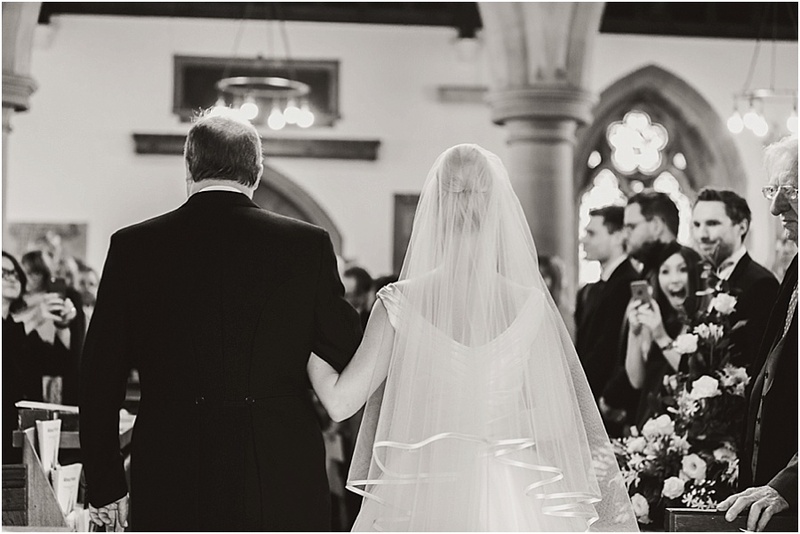 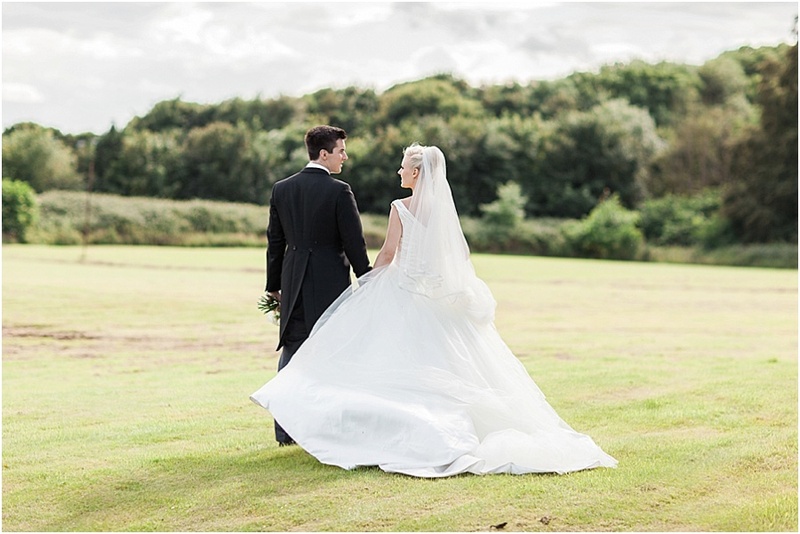 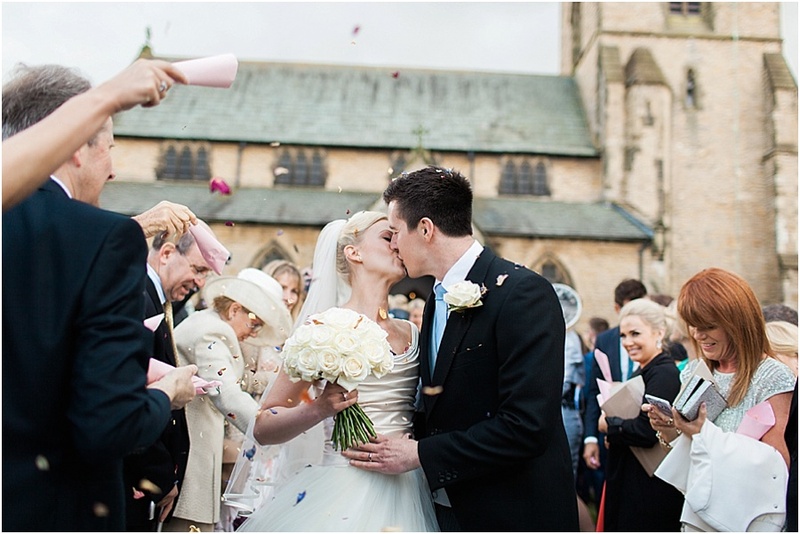 Annie was such an elegant and beautiful bride in her Phillipa Lepley gown with her hair in a sleek up-do, and stunning cathedral veil. 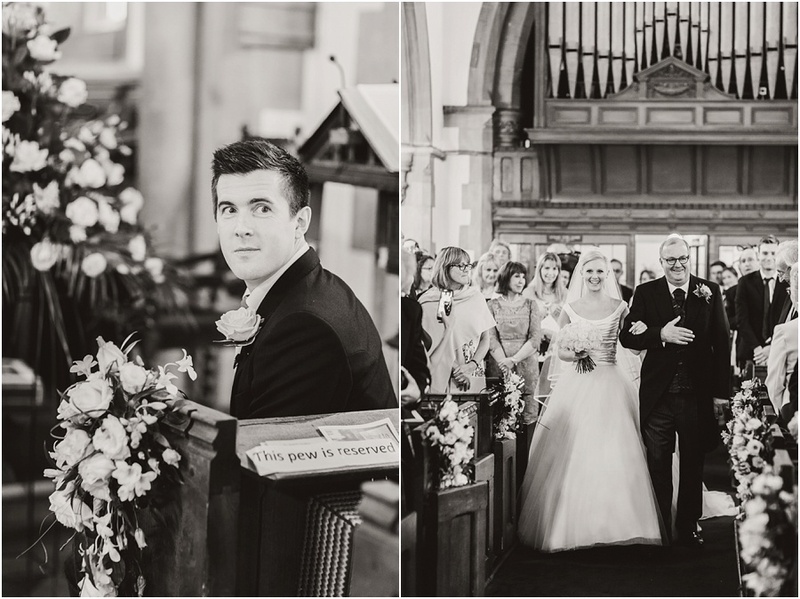 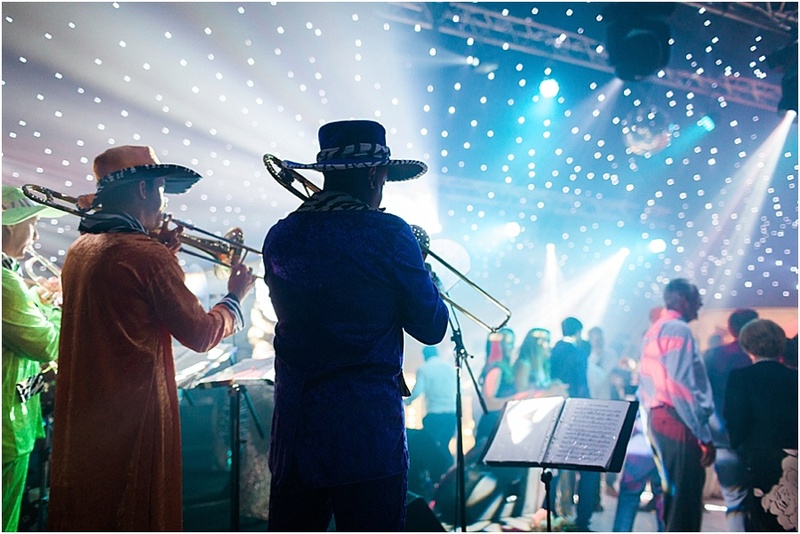 There were so many beautiful and poignant moments during the day, but most notable was Mike surprising Annie by singing to her in the speeches, accompanied by a surprise brass section that appeared through the curtain – very Love Actually! 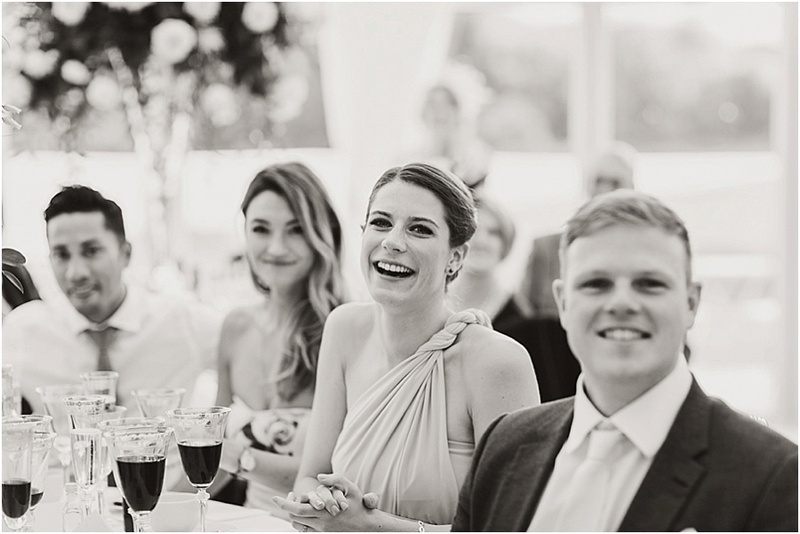 It was such an honour to be a part of Annie & Mike’s special day, and I wish them every happiness for the future and their married life together! 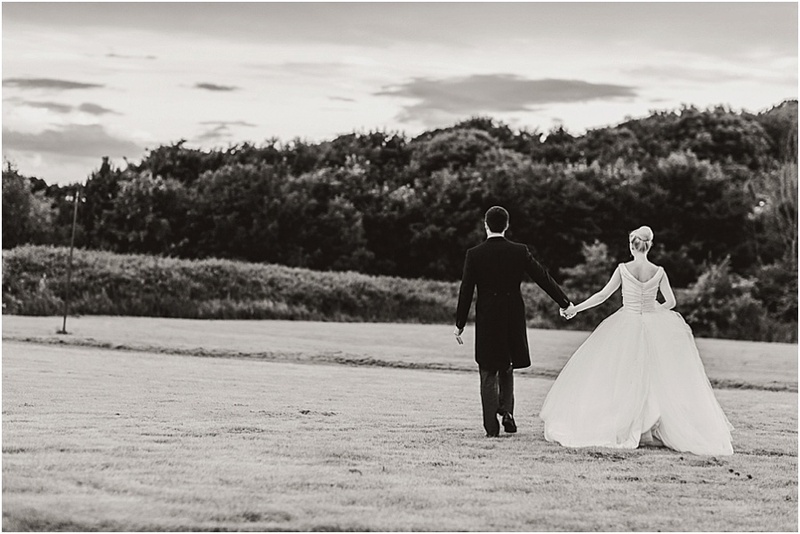 I have enjoyed seen all your photos and must say they are stunning, the venue also looked superb.